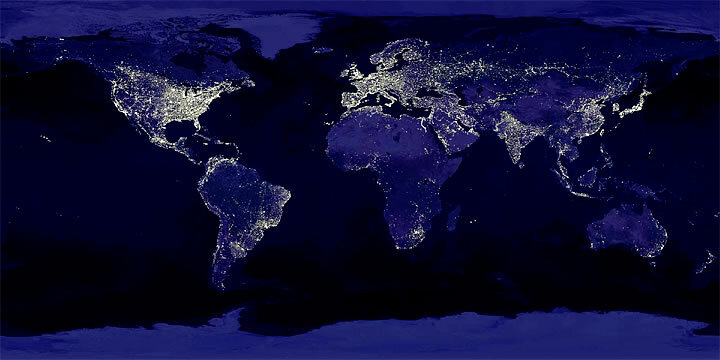 So as the light concentrates over the industrialized countries - leaving the rest of the planet in the darkness - so are wealth, resources and services forbidden for the majority of the world population. THIS IS THE LIGHT OF HUNGER AND DEATH. Download, alter and upload again this image of the world map. You can also download the images of any participant, artistically work on them and upload them again in our web site. Remember that your image can also be intervened by others.